Boise Daily Photo: City Daily Photo Theme Day: "Red"
A red bug body in a parking lot for the City Daily Photo Theme Day for April. See all the interpretations of "red" from around the world, by clicking here. Poor VW Käfer! I hope you'll rebuilt soon. Great shot! That is a perfect red color for theme day. This makes me a little sad. Hope someone comes to take care of the poor little bug! I'm like Halcyon, I hope it's getting good care from the bug hospital. Ah, finally, after traveling virtually around the world! 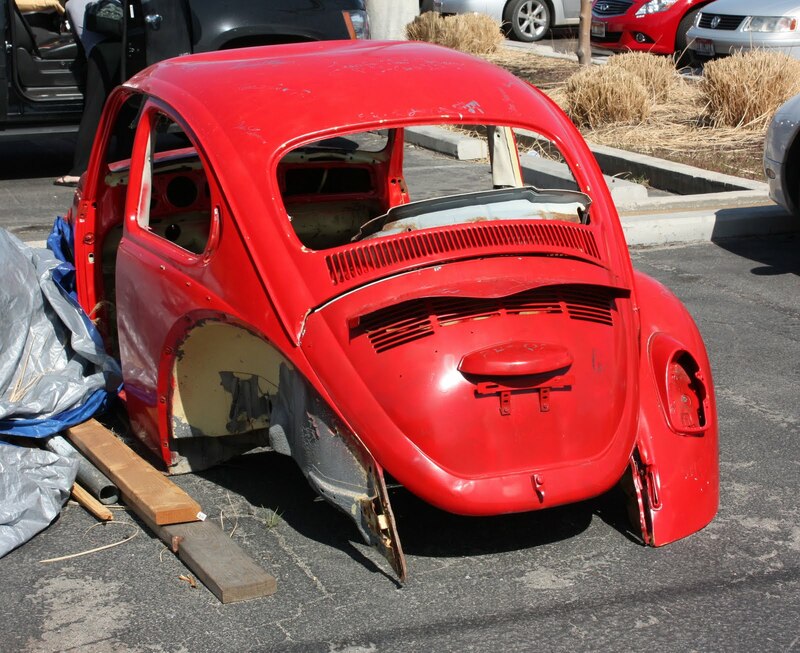 A red Bug in Boise! Who would have thunk??? Great image for today! Takes me back since our red FuFu was our first car! Loved every inch of it. I bet a lot of people would like to get their hands on that. This will make someone a sweet ride! Great photo for theme day! !